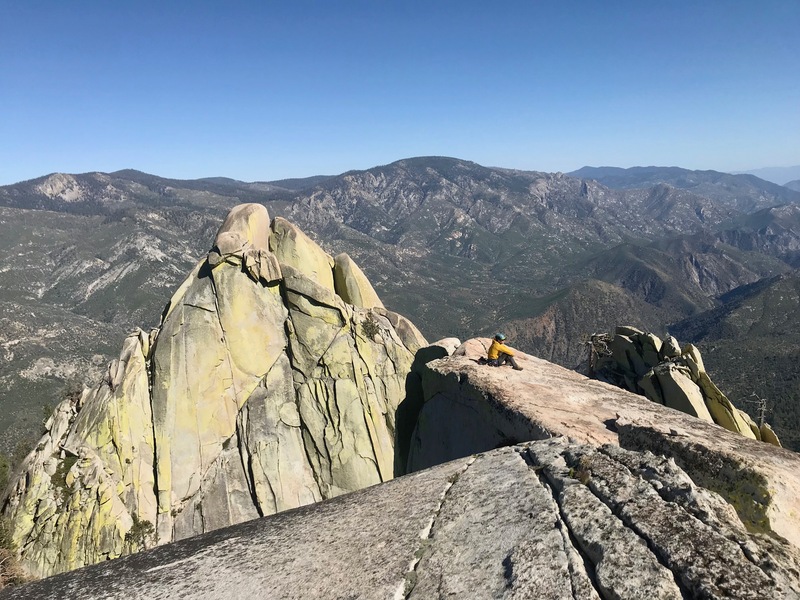 The California Needles can be described as alpine cragging. A mix of Lover’s Leap style multi-pitch and Toulumne Meadows dome extrusions with decent approaches. Most climbs are on splitter cracks 5.9 or above. 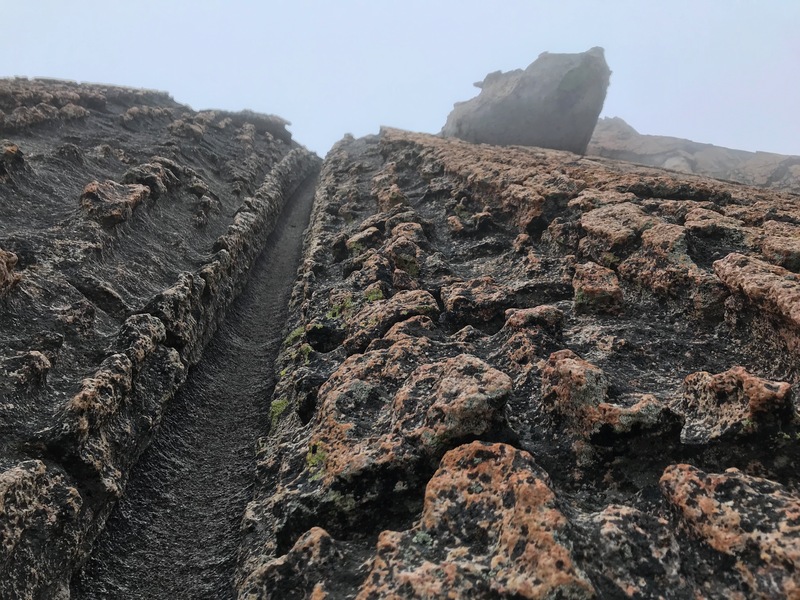 The cracks vary more than Indian Creek or Yosemite, sometimes widening out into slab sections. Fist or wider is not uncommon on a ‘splitter hand crack’ and we used our #4 more often than not. Over the course of three days I was thoroughly tired after climbing a total of 3000+ ft of 5.9+ classic routes. Definitely a place for any 5.9 and especially 5.10 climber to check out. This last year I’ve been trying to break into 5.10- trad. Being the stronger climbing partner of my team, that often meant pushing myself on lead. However, decking from blown gear last August lost a lot of my lead head and confidence to climb, even at the levels I was previously confident. However, I’ve had a resurgence over the last month of not only getting my confidence back but pushing into 5.10 trad. I’m really proud of myself and feel empowered by what I’ve learned. 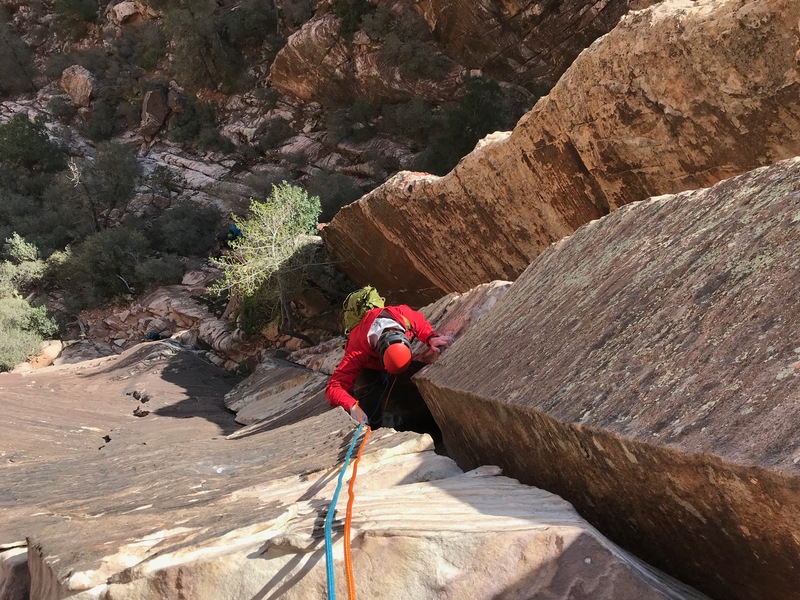 Leaving Las Vegas after four full days climbing on abnormally bomber red, black and tan sandstone, I found myself contemplating how special the climbing community really is. This trip centered around a meetup hosted by Mountain Project for Admins of their climbing areas. Here, I met climbers from the Gunks, Devil’s Lake, SoCal, Oregon and Quebec, route bolters out of Idaho, traditional first ascentionists from Red Rock, boulderers from Grand Junction, gym owners in Missouri and the people who started Mountain Project and Mountain Bike Project. 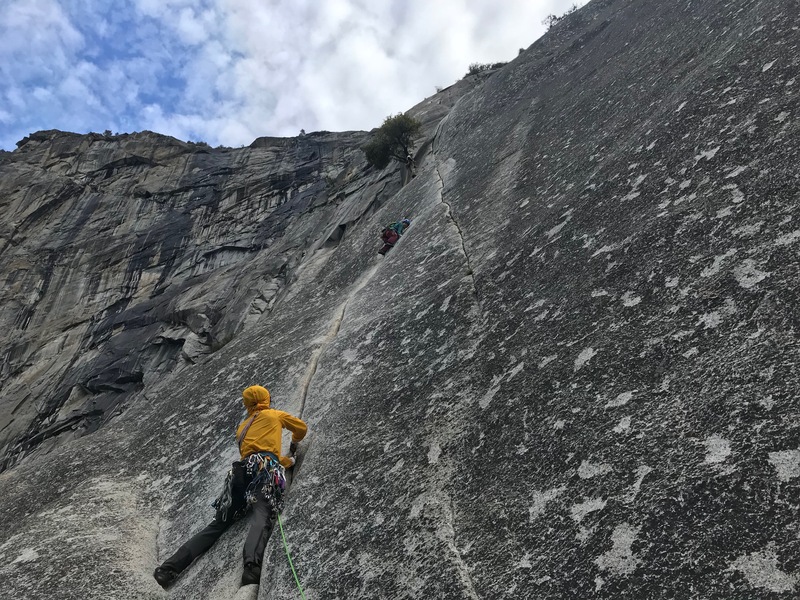 I also climbed one day with a person sporting a Senior’s National Park pass and another with an existing friend I originally met online, trying to climb near Mt. Rushmore.